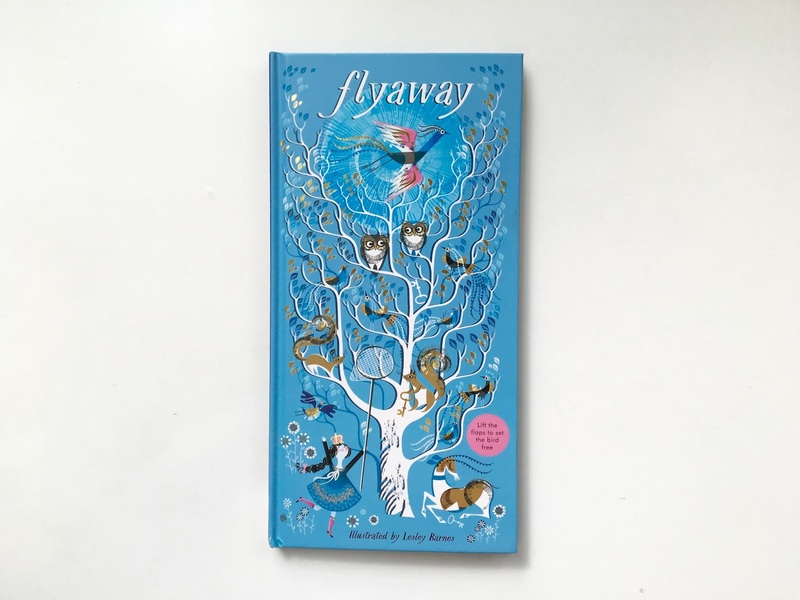 This week we've selected Lesley Barnes' beautifully done lift the flap book, Flyaway, as our Book of the Week. We love that she has taken the lift the flap concept and elevated it. Visually this book is stunning, Lesley's use of color balanced with black and white is wonderful. 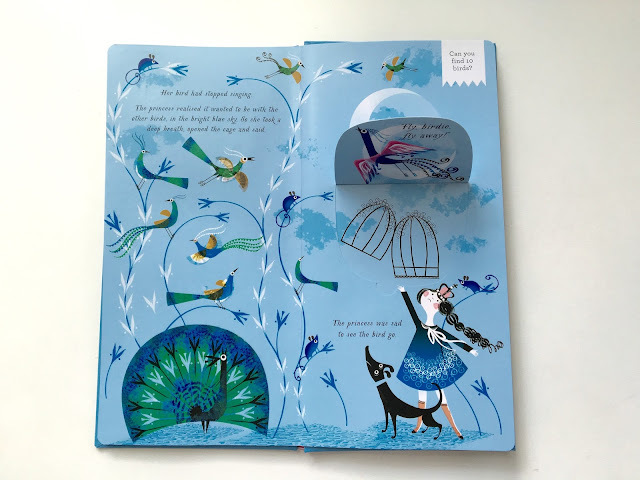 She has also combined flaps with callouts to find 10 items on each spread, ranging from music notes to mice. 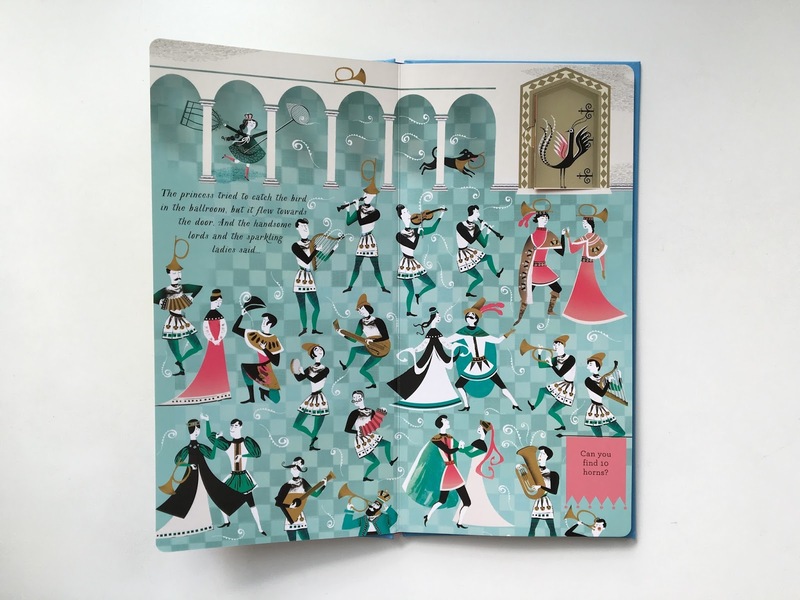 When selecting books for our children we look for different ways to engage with them, whether it is through the story, illustrations, or something else and we really enjoy that this book offers multiple forms of engagement. It starts conversations on what they can see, finding hidden objects and beginning number concepts. 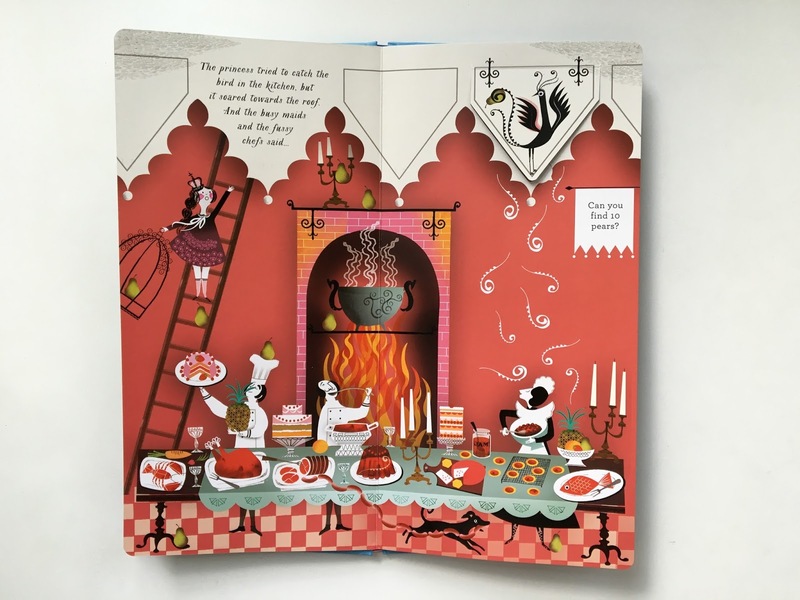 This is the kind of book we like to have in our home library because we can picture bringing it with us while waiting at doctor's offices, in the car or even during errands. Bonus, it will also grow with our children as there are multiple activities for different age levels.